At AAA Computer Repair we recycle all old computers, towers, laptops and flat screen computer monitors. 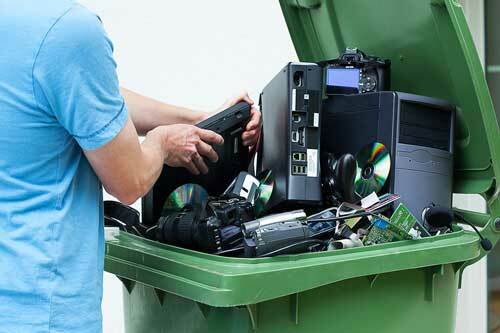 We guarantee data destruction – so your old data is safe from prying eyes! We take other electronics as well including but not limited to: VCR’s, DVD players, Digital Clocks, and even that nest/drawer of old wires. We CAN NOT accept: TV’s of any kind, or the old CRT Computer Monitors. Call 315-664-2048 to schedule a free pickup or drop off!